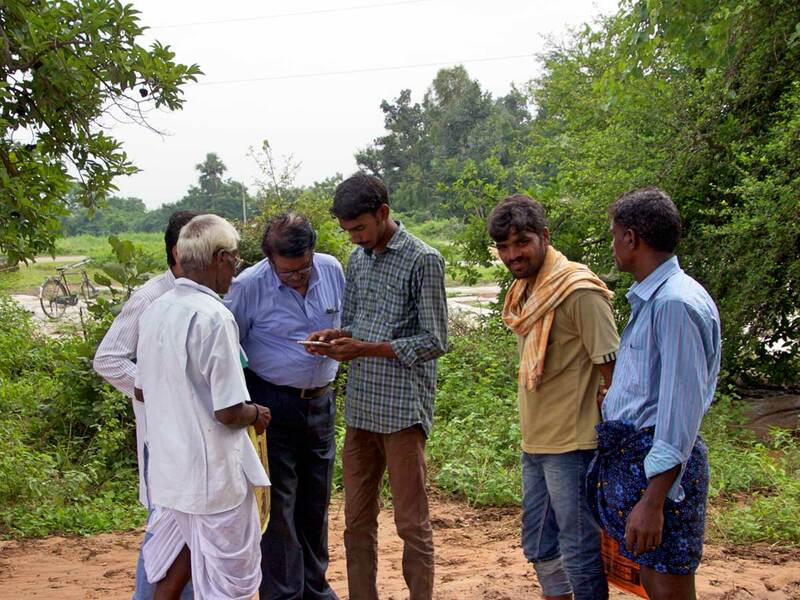 In an effort to update the land records of Telangana, India, Landesa developed and tested a low-cost, community-led process for collecting information on land documentation. The process relied on trained community members and paralegals to gather and analyze information village-by-village through household surveys, land records analysis, and field verification. Their initial approach involved collecting and analyzing the data using traditional surveys conducted with pencil and paper. Gathering this information generally took about three hours per land parcel. Looking to improve the project’s efficiency and effectiveness, Landesa partnered with Cadasta. 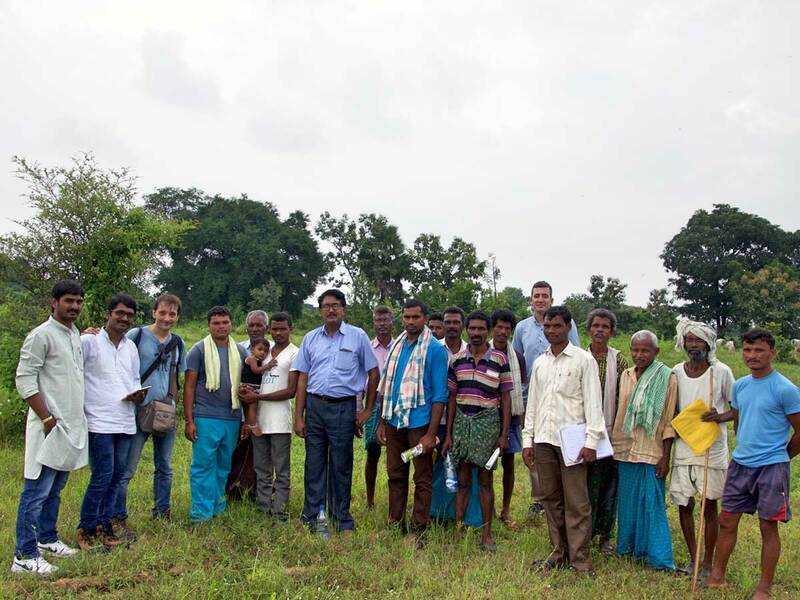 Cadasta developed a tailor-made digital questionnaire and trained Landesa staff and community paralegals in India to collect land and resource rights data using GPS-enabled mobile phones and tablets. Cadasta’s training and tools brought the time needed to record data from a single parcel from three hours to less than forty minutes and reduced the rate of transcription errors. 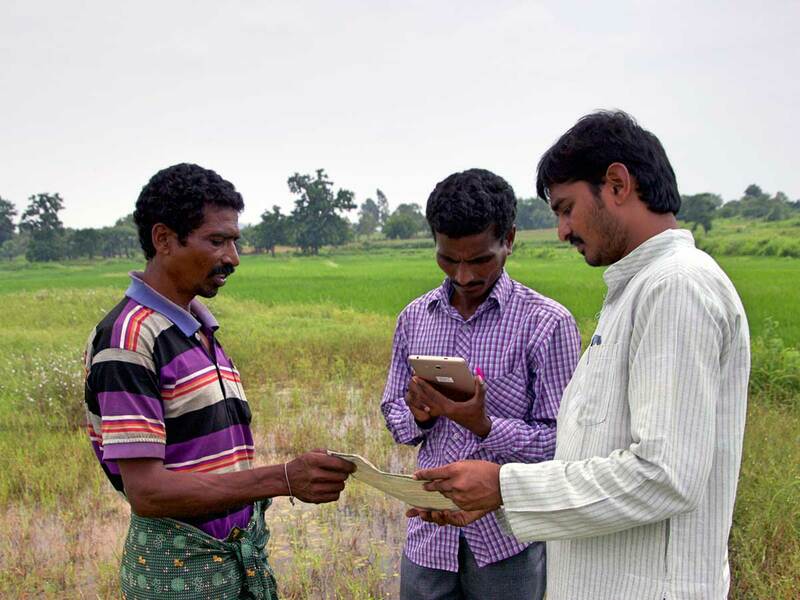 In the Indian state of Telangana, rural land records have largely not been updated since the 1940s. Recent field studies indicate that most of these records are no longer accurate. As a result, a vast majority of smallholder farmers have unclear and insecure rights to the land they rely on. Learn more about how Cadasta partnered with Landesa to update the region’s land records.